Alissa began her professional dance training from BalletMet Columbus and obtained her BFA in Dance from The Ohio State University. She was the recipient of OSU’s Helen Alkire Scholarship, and trained with scholarships to the American Dance Festival (NC), Jacob’s Pillow Dance Festival (MA), Parsons Dance (NY), and Dayton Contemporary Dance Company (OH). Alissa has danced professional with Columbus Dance Theatre and Lancaster Ballet (OH), Repertory Dance Theatre (UT), Naganuma Dance (NY), Desert Dance Theatre (AZ), The DanceWright Project (CA), and has guest performed for choreographers including Steven Brown, Cornelius Carter, Robert Battle, and Jeff Slayton. 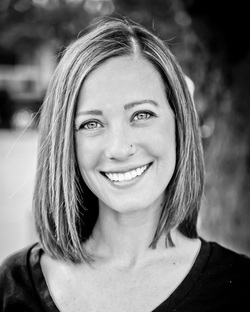 Alissa has taught ballet, jazz, and contemporary across the country, Europe, and Southeast Asia. She is a certified Pilates instructor, and was recently certified in American Ballet Theatre’s prestigious National Training Curriculum program, in Pre Primary-Level 3. In addition to her artistic background, Alissa has also built a career in arts administration and marketing. She has served as the Community School Director for the Repertory Dance Theatre Community School, Manager for the Alonzo King LINES Dance Center, Marketing Director for Naganuma Dance, and Dance Director and Marketing PR Director for The School of Performing Arts. ​Alissa is currently the Director of Creative Arts Academy’s Dance Ensemble and Artistic Company. Her careers have taken her from coast to coast and around the world, but she’s thrilled to be back in the Utah dance community.